After having worked as a trader, sales manager, 22 years ago she settles in Umbria where she has been the assistant to Jacopo Fo and the editor of his books for ten years. In 2001, together with Maria Cristina Dalbosco and Simone Canova, she founds Merci Dolci srl (Sweets Goods Ltd.), which deals with the distribution and sale of environmental technologies, with purchasing groups and with the editing of “Cacao, il quotidiano delle Buone Notizie Comiche” ( “Cacao, the newspaper of the Humorous Good News “). She collaborates with the New Committee Nobel for Disabled NPO founded by Dario Fo, Franca Rame and Jacopo Fo. 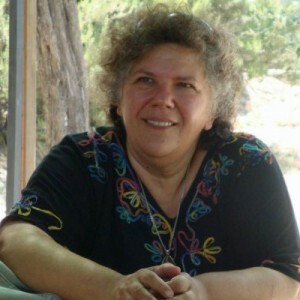 She is the president of the Solar Ecovillage Cooperative, which is a an “eco green town ” project developing on the hills between Gubbio and Perugia.